As many of you know, I try hard to use only natural cleaners in my home. I go out of my way to find new and interesting things to keep my house not only clean, but free of the pollutants that are in many homes. Many people don't know this, but multiple studies have shown that the air in our homes has more pollutants than the air outside. While I am a major fan of Method cleaners, I have never been too happy with their laundry soap or most of the other natural soaps on the market. They are expensive and just don't seem to do the same job. The main laundry detergent I use is CitraSuds, but it is usually sold out on Alice and Amazon is very hit or miss with its sales on this detergent. For this reason, I am constantly on the lookout for natural laundry detergents. 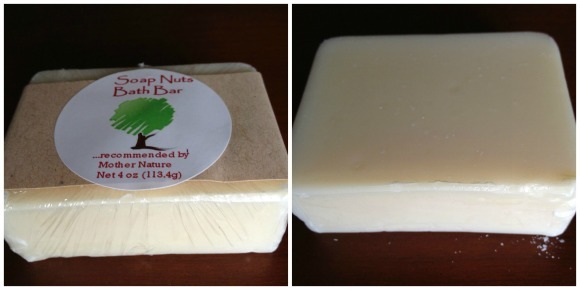 Recently, I heard about a new (to me) natural laundry soap that intrigued me – soap nuts. When I saw an opportunity to review Greener Living Products soap nuts and some of their other natural products, I just couldn't pass up the chance! By now, you are likely wondering what the heck are soap nuts? I was a bit nervous to try them at first with a peanut allergy. While I know peanuts aren't really nuts, I was reluctant to believe that any nuts would do much of anything. I was surprised to learn that soap nuts are actually berries grown in many tropical countries. Once these berries are handpicked, they are dried in the sun and once they are finished, the seeds are removed from the berries, leaving the outer shell which is used for cleaning. Really, you can't get much more natural than these berries, which have been used for centuries in tropical areas of the world. Best of all, Greener Living's soap nuts are certified organic with USDA and EcoCert. This all natural laundry detergent is also color safe, perfect for all types of fabric, safe for all washers (especially HE), and biodegradable. Greener Living Products: Soap Nuts – Do they Work? So far, I LOVE soap nuts. They are very easy to use and leave my laundry smelling clean without using any additives or unnecessary fragrances. 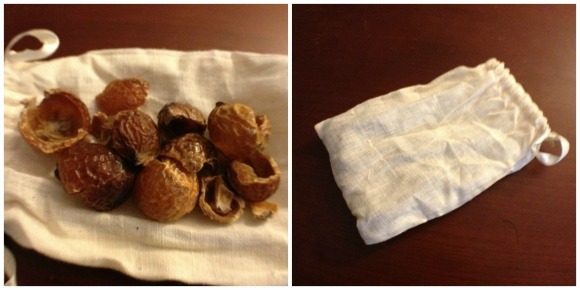 All you have to do is use them is put the soap nuts in a small muslin bag, tie it, and throw in the laundry. On the instructions that come with the nuts, it claims that these nuts are only good for four to five loads. I got SEVEN full loads out of my soap nuts before they started looking dark and dull. I tried everything from towels, cotton clothing, and a mix of delicate items. Everything worked great. The only problem you can experience is that sometimes little pieces of the soap nuts will come out of the bag and float around the laundry. It doesn't cause damage but can be a little annoying. This didn't start happening for me, however, until load six and seven since the soap nuts were starting to soften and fall apart. As someone who makes soap, I was very curious to try the bath bar. This bar is made exclusively for Greener Living Products and is made using coconut oil, olive oil, glycerin and soapnuts liquid. From my own experience with the soap, I am very impressed. It doesn't dissolve quickly in water, softens the skin, and leaves your skin feeling great, even after working out. With the ingredients in the soap, it is also perfect for sensitive skin – allowing people with troubled skin to enjoy a bar of natural soap made with them in mind. This was another product that I thought was pretty spiffy. I normally hate using steel wool since it often comes with some unknown chemical on the pads. 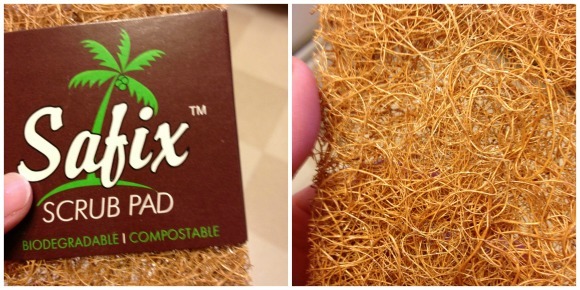 Well, Greener Living's safix scrub pad is a great solution, at least in my opinion. This pad is made using outer coconut core fibers and is great at getting off tough sticky or burnt food out of stainless steel pots. I tested mine my safix pad in the Crockpot without soap first just to see how it worked it on its own. I found that with minimal effort it was able to remove this grime on its own. While some of the fibers did come off, it was very effective. Based on my own experience, I don't think I can recommend these products enough. The soap nuts did an amazing job in my front load HE washer and my skin feels amazing after using the soap. With how hard it is to find high quality eco-friendly items, I think most of my readers will be happy with these products. I know I may very well be putting in an order myself of the soap nuts since they do just a great job! Currently, you can purchase any of these products, including the organic soap nuts on the Greener Living website. I also found that they are available on Amazon.com for $25.50 with free shipping for a 1.1 lb box. Unlike some other retailers, they are available for purchase in the United States and Canada. Would you love to sample some soap nuts and these other amazing products from Greener Living Products? If so, we have an amazing giveaway opportunity for you! They are sponsoring this awesome giveaway where readers will get a sample of soap nuts, a bar of soap nut soap, and a safix scrubbing pad. Make sure to read all the rules below before entering the Rafflecopter! 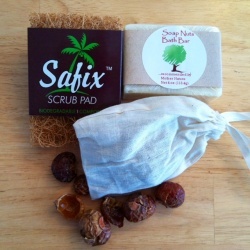 1 Readers will receive a sample pack of Soap Nuts, a bar of bath soap, & a Safix Scrubbing Pad. Giveaway ends May 14th at 11:59pm. Disclosure: Budget Earth did not receive monetary compensation for this review and giveaway, but did receive a product sample pack for review purposes via Tomoson.com. All of the opinions on this blog are the opinions of said author and these opinions may differ from your own. I had never even heard of soap nuts until a month ago…very interseting…not sure what I think about them..thanks for the info. They are very different. They seem to do a pretty good job, but I unfortunatly wasn’t able to test them with stains. I would love to give them a try. This is an interesting soap product; thanks for post. That is really interesting the process that goes in to making the soap! Thanks for addressing the "nut" allergy part. I would have avoided a trial because my grandson is allergic to peanuts too. It sounds like a great way to launder. I have never heard of this-sounds amazing! Great video. I never thought about where soap nuts came from before but I am glad I now know. I haven't tried Soap Nuts, myself, but they're quite popular in the cloth diapering community since they're cloth safe. These are pretty cool. My SIL is all about the greener living so I'll pass these on to her. Thanks! Cool review and giveaway. If you don't mind I'll share it on my blog. Thanks Steve! I really appreciate it 🙂 I thought this was a pretty neat product! Green and eco-friendly products are definitley in now, I haven't tried a soap like this yet, so if given the chance to sample for free i would love too. Will come back for the giveaway later after bloghopping. Thanks for sharing this great review. I think the concept is brilliant and am surprized that I haven't tried them before. This is an interesting soap product, thanks. I think Soap Nuts are very interesting. I would love a more eco friendly way to do our laundry that really works to clean our clothes. I agree! Its so hard finding laundry alternatives that are eco-friendly and actually work! I think these are a wonderful eco-friendly alternative and would love to try them! i love that they're so multipurpose!! I would love to try these! I am always interested in eco-friendly options and the soap nuts sound like a really good quality alternative. They sound really cool I would love to try them! Soap nuts are great on my cloth diapers!! I make homemade kitchen and bathroom cleaners, liquid soap and fabric softener . It can be time consuming so unless I find a super good deal I try to make items myself. I am expecting my first little one in April. I feel like there are a million detergent options I have to consider both for her cloths and her cloth diapers. We would like something as natural but also as effective as possible. I’m glad to see some other commenters mentioned this works on cloth diapers!